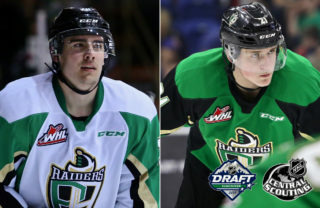 Prince Albert, SK – The Prince Albert Raiders have traded 1998-born goaltender Nicholas Sanders to the Calgary Hitmen in exchange for sixth-round pick in the 2019 WHL Bantam Draft. 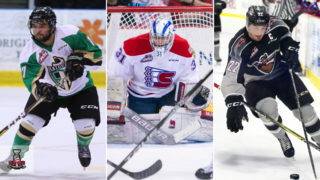 Sanders, a Calgary, AB product, was acquired by the Raiders in October 2016. The 6’2 netminder made 38 appearances with the Raiders over two seasons. 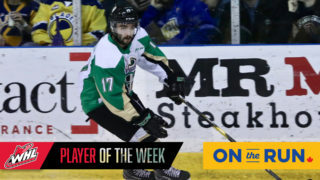 He finished with an 8-13-3-2 record in his time in Prince Albert, sporting a 3.91 goals-against average and a 0.888 save percentage. Sanders was re-assigned by the Raiders in October. 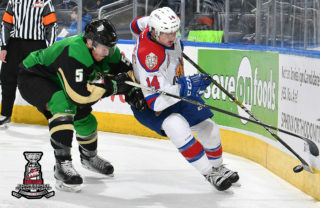 The Raiders play two home games this weekend against the top teams in the East Division. On Friday, the Swift Current Broncos visit the Art Hauser Centre. 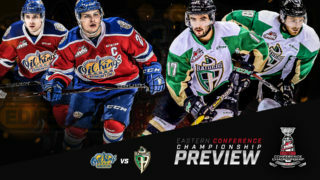 Then on Saturday, the Raiders host the WHL-leading Moose Jaw Warriors. 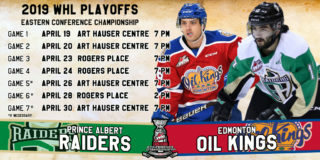 Both games begin at 7 p.m.
Tickets for both games are available at raiderhockey.com, the Raider Office, or by calling 306-764-5348.